Reduce the stress of preparing for Christmas, and enjoy the season more, by focusing less on gifts and decorations and more on the spirit of the season of Advent, waiting for Jesus the Light to be born anew in our hearts. Welcome to suzanneharaburd.com, and to my blog, both of which arose from my book Inspirational Daily Prayer; Following in the Footsteps of Female Saints and Holy Women. 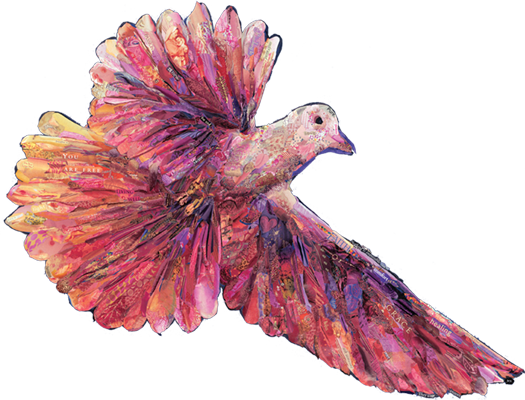 Discover the new app that speaks to your heart: Inspirational Daily Prayer. Grounded in scripture and inspired by the wisdom of holy women, Suzanne’s prayers bring a daily dose of wit, wisdom, and striking imagery to your life’s journey. 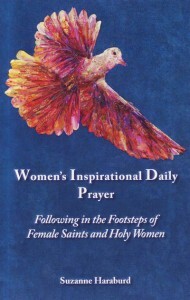 Women's Inspirational Daily Prayer; Following in the Footsteps of Female Saints and Holy Women is designed for both women who are new to prayer, and those who want a resource to deepen their prayer life. "Who Are You, Jesus?" is an iPad app from Haraburd Publishing, Ltd. that enables young children to engage with Jesus through age-appropriate Scripture.